Android Studio 2.3 is available to download today. The focus for this release is quality improvements across the IDE. We are grateful for all your feedback so far. We are committed to continuing to invest in making Android Studio fast & seamless for the millions of Android app developers across the world. We are most excited about the quality improvements in Android Studio 2.3 but you will find a small set of new features in this release that integrate into each phase of your development flow. When designing your app, take advantage of the updated WebP support for your app images plus check out the updated ConstraintLayout library support and widget palette in the Layout Editor. 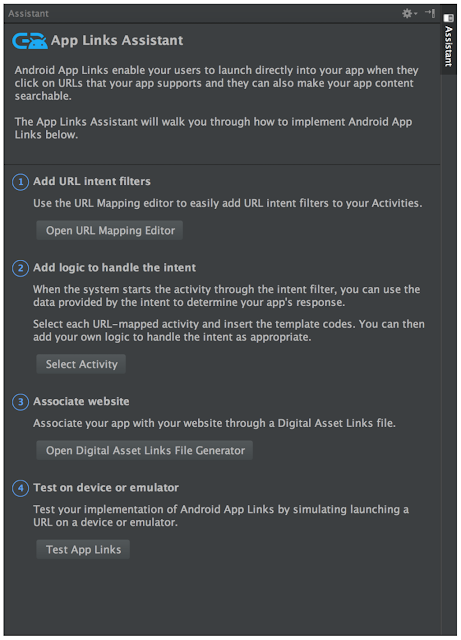 As you are developing, Android Studio has a new App Link Assistant which helps you build and have a consolidated view of your URIs in your app. While building and deploying your app, use the updated run buttons for a more intuitive and reliable Instant Run experience. Lastly, while testing your app with the Android Emulator, you now have proper copy & paste text support. 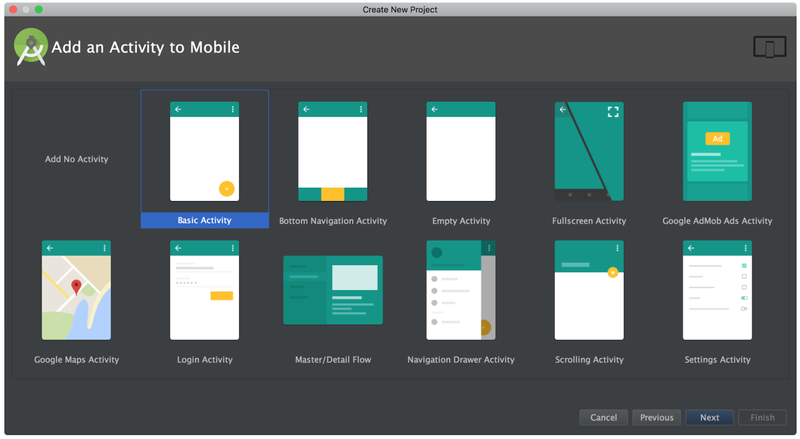 Instant Run Improvements and UI Changes: As a part of our focus on quality, we have made some significant changes to Instant Run in Android Studio 2.3 to make the feature more reliable. The Run action will now always cause an application restart to reflect changes in your code that may require a restart, and the new Apply Changes action will attempt to swap the code while your app keeps running. The underlying implementation has changed significantly to improve on reliability, and we have also eliminated the startup lag for Instant Run enabled apps. Learn more. Chains and Ratios support in Constraint Layout: Android Studio 2.3 includes the stable release of ConstraintLayout With this release of ConstraintLayout, you can now chain two or more Android views bi-directionally together to form a group on one dimension. This is helpful when you want when you want to place two views close together but want to spread them across empty space. Learn more. Layout Editor Palette: The updated widget palette in the Layout Editor allows you to search, sort and filter to find widgets for your layouts, plus gives you a preview of the widget before dragging on to the design surface. Learn more. Layout Favorites: You can now save your favorite attributes per widget in the updated Layout Editor properties panel. Simply star an attribute in the advanced panel and it will appear under the Favorites section. Learn more. 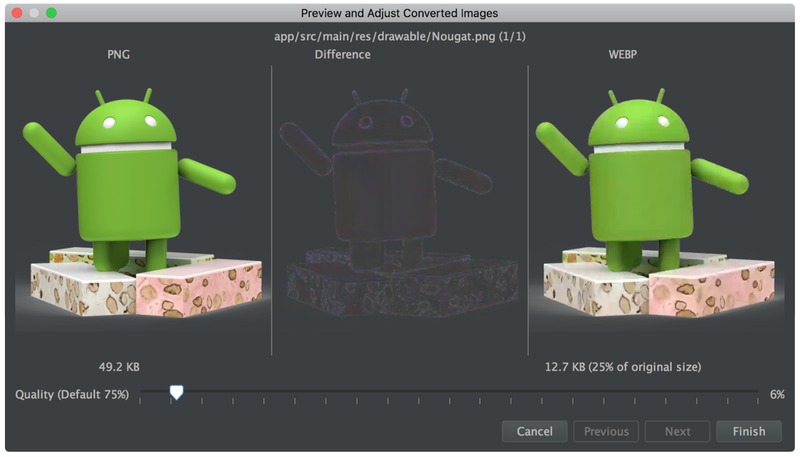 WebP Support: To help you save space in your APK, Android Studio can now generate WebP images from PNG assets in your project. The WebP lossless format is up to 25% smaller than a PNG. With Android Studio 2.3, you have a new wizard that converts PNG to lossless WebP and also allows you to inspect lossy WebP encoding as well. Right-click on any non-launcher PNG file to convert to WebP. And if you need to edit the image, you can also right-click on any WebP file in your project to convert back to PNG. Learn more. Material Icon Wizard Update: The updated vector asset wizard supports search and filtering, plus it includes labels for each icon asset. Learn more. Lint Baseline: With Android Studio 2.3, you can set unresolved lint warnings as a baseline in your project. From that point forward, Lint will report only new issues. This is helpful if you have many legacy lint issues in your app, but just want to focus on fixing new issues. Learn more about Lint baseline and the new Lint checks & annotations added in this release. App Links Assistant: Supporting Android App Links in your app is now easier with Android Studio. The new App Links Assistant allows you to easily create new intent filters for your URLs, declare your app's website association through a Digital Asset Links file, and test your Android App Links support. To access the App Link Assistant go to the following menu location: Tools → App Link Assistant. Learn more. Template Updates: By default, all templates in Android Studio 2.3 which use to contain RelativeLayout, now use ConstraintLayout. Learn more about templates and Constraint Layout. We have also added a new Bottom Navigation Activity template, which implements the Bottom Navigation Material Design guideline. IntelliJ Platform Update: Android Studio 2.3 includes the IntelliJ 2016.2 release, which has enhancements such as an updated inspection window and a notifications system. Learn more. Android Emulator Copy & Paste: Back by popular demand, we added back the Copy & Paste feature to the latest Emulator (v25.3.1). We have a shared clipboard between the Android Emulator and host operating system, which will allow you to copy text between both environments. Copy & Paste works with x86 Google API Emulator system images API Level 19 (Android 4.4 - Kitkat) and higher. Android Emulator Command Line Tools: Starting with Android SDK Tools 25.3, we have moved the emulator from the SDK Tools folder into a separate emulator directory, and also deprecated and replaced the "android avd" command with a standalone avdmanager command. The previous command line parameters for emulator and "android avd" will work with the updated tools. We have also added location redirects for the emulator command. However, if you create Android Virtual Devices (AVDs) directly through the command line you should update any corresponding scripts. 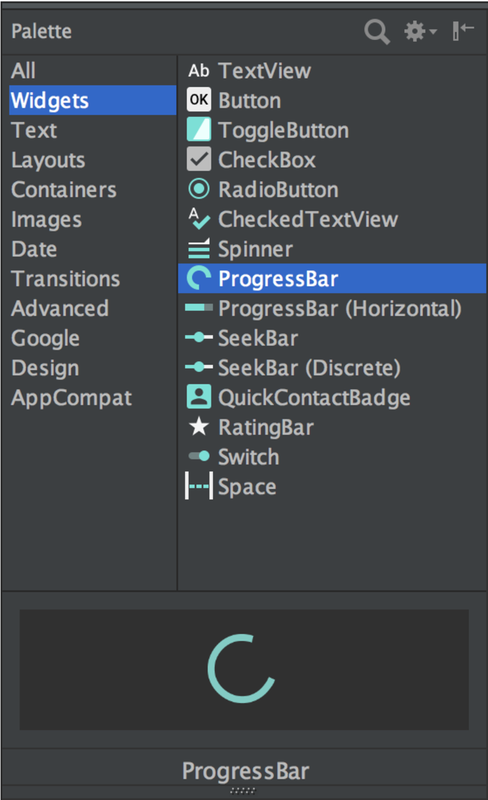 If you are using the Android Emulator through Android Studio 2.3, these change will not impact your workflow. Learn more. 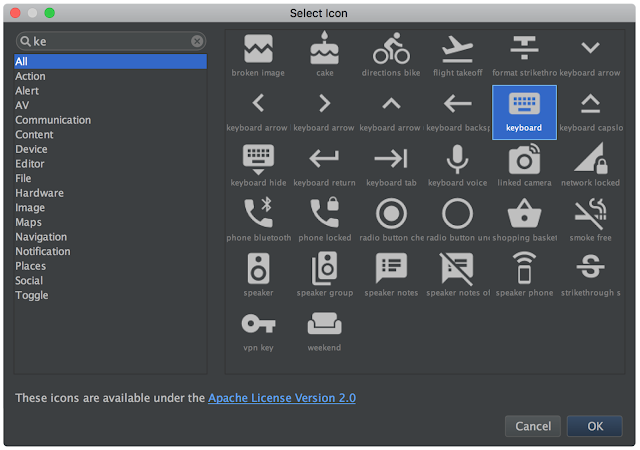 Learn more about Android Studio 2.3 by reviewing the release notes. If you are using a previous version of Android Studio, you can check for updates on the Stable channel from the navigation menu (Help → Check for Update [Windows/Linux] , Android Studio → Check for Updates [OS X]). You can also download Android Studio 2.3 from the official download page. To take advantage of all the new features and improvements in Android Studio, you should also update to the Android Gradle plugin version to 2.3.0 in your current app project. We appreciate any feedback on things you like, issues or features you would like to see. Connect with us -- the Android Studio development team -- on our Google+ page or on Twitter.